Over two dozen fun vector graphics fill this holiday friendly design. 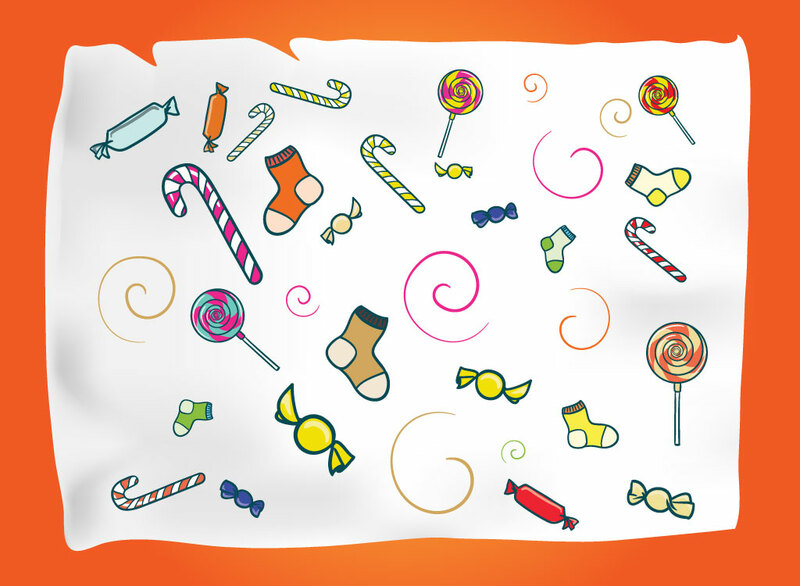 Spirals, candy canes, lollypops, candies and socks are scattered playfully into a Christmas or kid friendly collage. This free download can be a great background for your greeting cards or use the individual elements separately for decorations. Tags: Candy Canes, Children, Christmas, Kids, Lollypops, Santa Claus, Xmas.